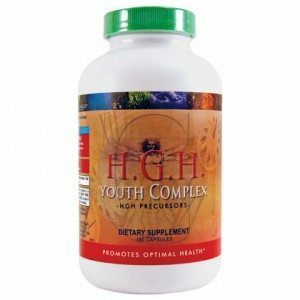 Youth Complex™ has a proprietary blend of amino acids, minerals and sea kelp, which make a truly unique product that cannot be found anywhere else on the market! Formulated to help you “Live Younger – Longer!”, Youngevity’s Youth Complex™ supports functions that may change as we age. It supports healthy blood sugar levels, immune function, skin, vision, brain function, and promotes sexual health. Each capsule contains (8) patented amino acid chelated minerals. The Youngevity Mineral Essence (Calcium glycinate, iron glycinate, magnesium glycinate, zinc glycinate, manganese glycinate, chromium glycinate, molybdenum glycinate). 5 Anti-aging* amino acids stacked. L-Lysine, L-Arginine, L-Ornithine, L-Glutamine, and L-Tyrosine. DIRECTIONS: Take six capsules daily at bedtime or as directed by your healthcare professional. WARNING: Accidental overdose of iron-containing products is a leading cause of fatal poisoning in children. KEEP THIS PRODUCT OUT OF THE REACH OF CHILDREN. In case of accidental overdose, call a doctor or poison control center immediately.